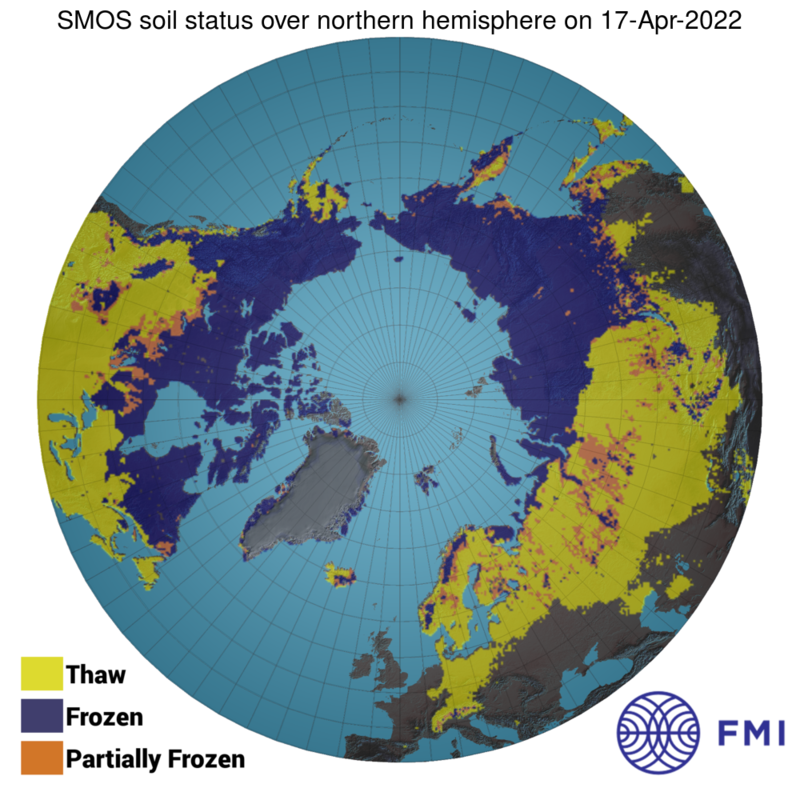 Overview: The SMOS L3FT Service generates a daily information on the Northern hemisphere soil state using as input data the SMOS daily gridded level 3 brightness temperatures (data provided by Centre Aval de Traitement des Données SMOS - CATDS). The Service uses two ancillary datasets: ECMWF 2m air temperature data and NSIDC IMS snow cover data. The data are provided in The Equal-Area Scalable Earth Grid (EASE2-Grid) at 25 km x 25 km resolution. The product start date is July 1st 2010. The soil freeze and thaw algorithm uses a threshold detection approach. The detection of the soil state is determined by comparing each observation to empirically predefined frozen and thawed ground references. Winter and Summer estimates are further regulated by air temperature reanalysis data. The output product has three categories for the soil state: frozen, partially frozen and thaw.